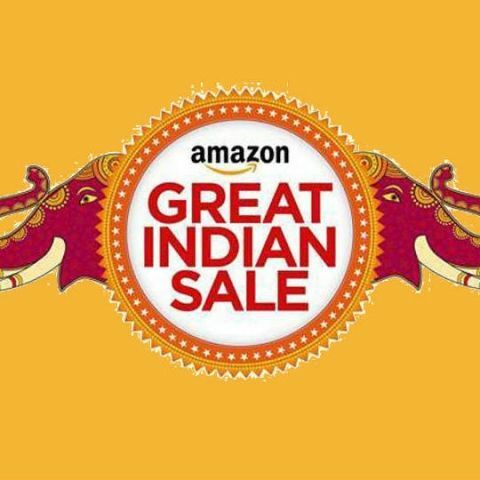 Today is the final day of Amazon’s Great Indian Sale and here are some of the deals you might want to take a look at before the sale ends. Today is the last day of Amazon’s Great Indian Sale and your last chance to avail the many discounts that are on offer. From the plethora of tech deals that were on offer during the sale, there are some of the best that you should check out. Apple’s iPhone 7 may be a year old, but it still packs a pretty powerful punch. You can pick up the 32GB variant of the smartphone at Rs 40,999 during Amazon’s Great Indian Sale. Read our review of the Apple iPhone 7 here. If you really must have the latest smartphone from Apple, then you might want to take a look at the iPhone 8. The smartphone is available for Rs 55,999 during the sale. LG’s new flagship smartphone offers a large 6-inch QHD+ display with an 18:9 display aspect ratio. The phone is priced at Rs 44,990, but during the sale, buyer's can avail an additional Rs 5,000 off when exchanging their old smartphone. Read our review of the LG V30+ here. Oppo’s current flagship smartphone, the Oppo F5 offers a large 6-inch FHD plus display. Oppo’s recent smartphones have been selfie-centric and this particular smartphone is no different. The company says that the 16MP front camera is aided by an AI, which helps take quality selfies. The phone is priced at Rs 19,990, but buyers can get an additional Rs 2,000 off when exchanging their old smartphone. Read our first impressions of the Oppo F5 here. This TCL TV sports a 49-inch panel with a 4K UHD resolution of 3840 x 2160 pixels. The TV also offers a refresh rate of 60Hz and a 16W audio output. The device is priced at Rs 36,990 for the duration of the deal.